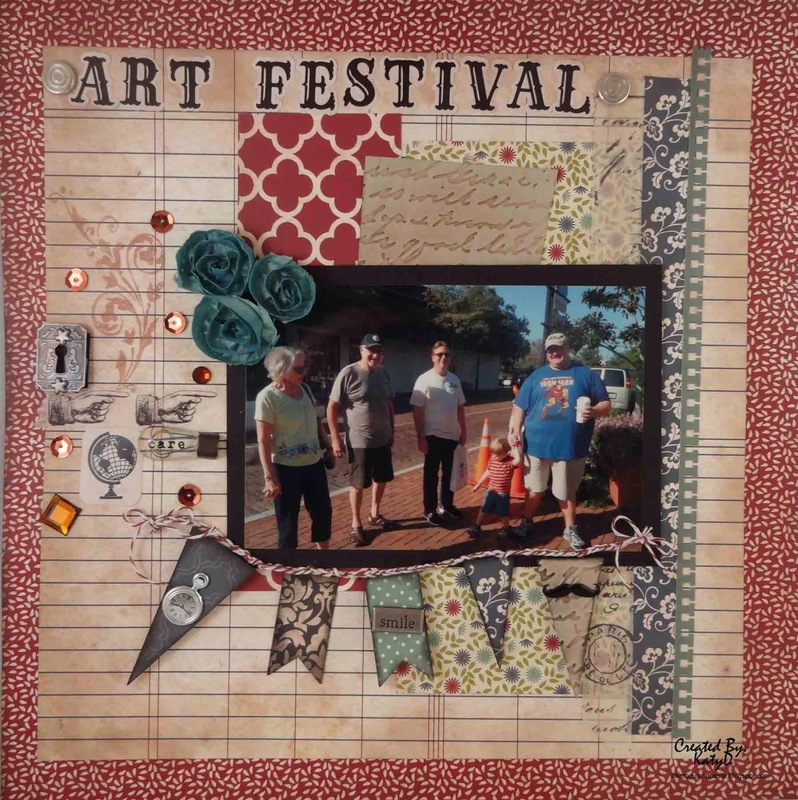 I have been busy making scrapbook pages--Yay! 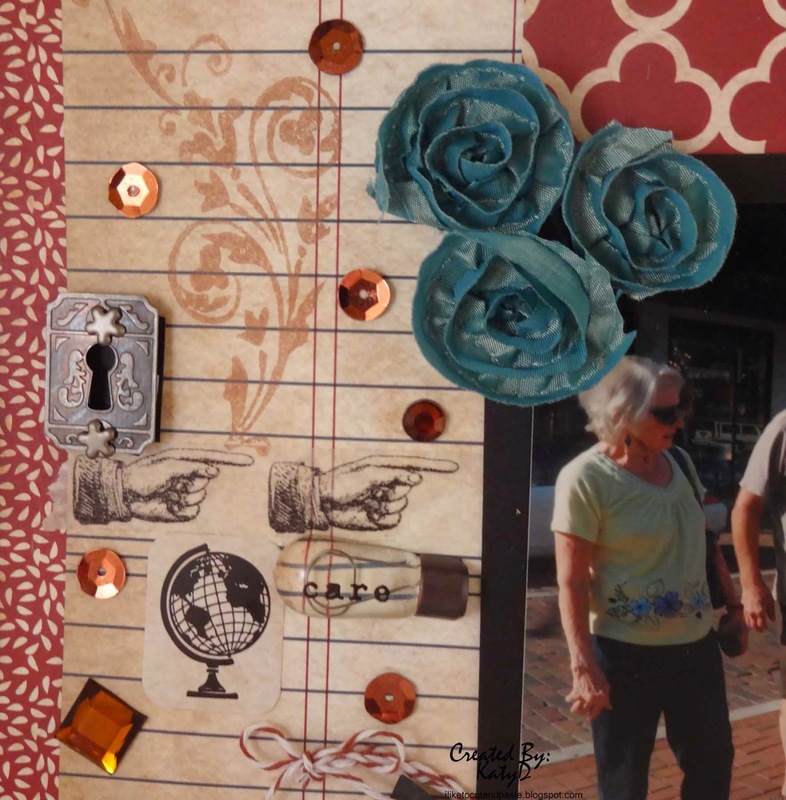 There is a great challenge group at Let's Scrap. Each month for 3 months a Use Your Stash Challenge is set up. You have 3 months to get all 3 done but you find out each month as it goes. I can already see you wheels turning. This must be the last month to get all 3 challenges completed since here I am with 3 layouts to share. You are right my friends! So here are each of the layouts and I will share with you what each challenge is. For Challenge #39 I used sketch 3-15-14. Now let me tell you real quick about the cool papers and stickers on the layout. A friend of mine has decided to do more quilting than scrapping and card making. 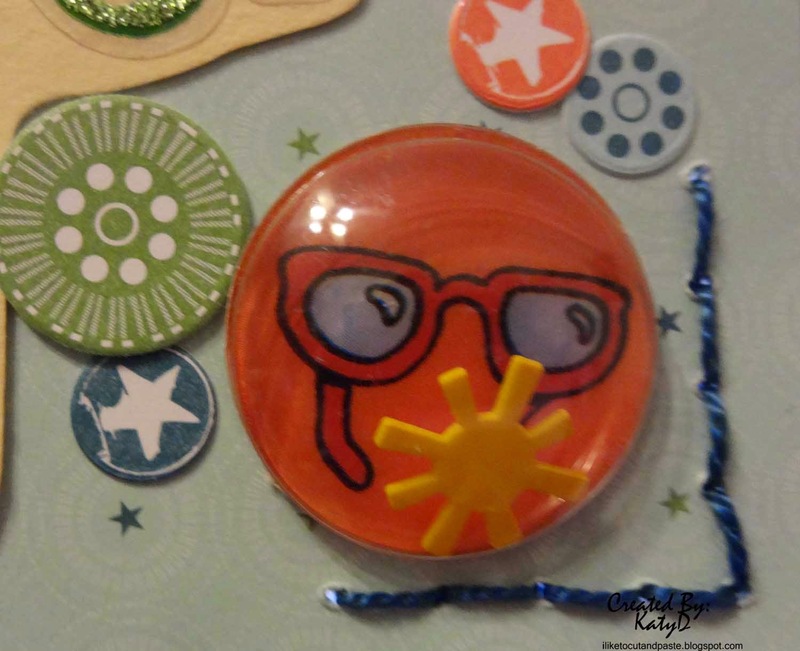 I am always sad when someone doesn't want to do this crazy craft anymore--However! She has chosen me to be the recipient of her awesome collection of scrappy things. I am just beside myself! She has given me ink pads, eyelets, tons of stuff, including paper! And in this paper assortments are some scrapbook kits from Stampin' Up which is where most of the things in this layout come from. Love it! :) Thank you Friend!! Look what I can do--put text boxes on a pictures LOL. This picture speaks for itself. But there is one thing. The mist is Stampin' Up's Orange re-inker with water. It makes a great mist. You can see the flower has the same pattern paper but not the mist. The next challenge in this 3-month Challenge is #40. I used sketch 4-23-14. --Use ink--The most visible ink is on the grey paper behind the photo and one of the flags of the banner. The cardstock is embossed, and I inked it to show the emboss better. Most of the papers, and stickers are from Echo Park-Time and Seasons 2. Here is a close up of my little cluster. The fingers pointing are washi tape from Tim Holtz, and that's his stamp too. Sequins and square gems, and the smile at the bottom (which is an eyelet) are from Making Memories. 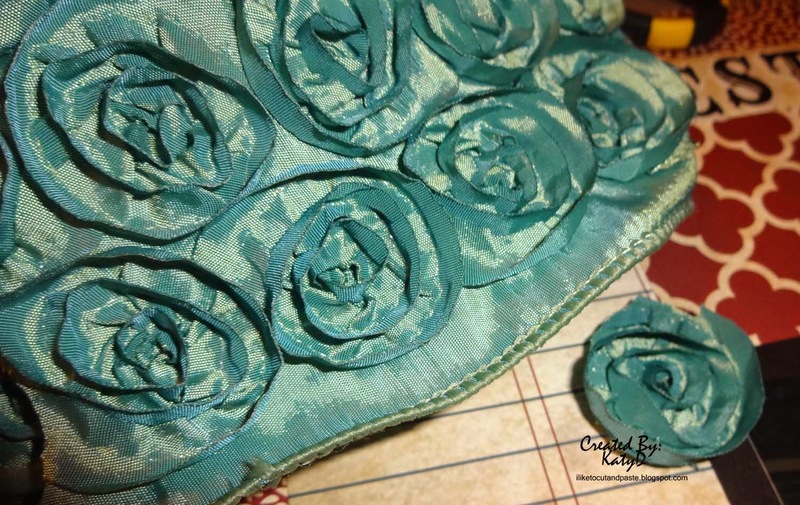 Scroll on down and I will show you the flowers. This is a ribbon from Mon Ami Gabby. I bought this ribbon a year or two ago. I took a class at the Scrapbook Expo (from Clear Scraps) and they cut out the flowers for the project. Brilliant! I also had no idea how well it matched this Echo Park Paper. Score! I used fabri-tac to glue them down. And here is my last layout-a two pager! For Challenge #41 just paper. What? Yup. Just paper. I used sketch 6-12-13. So I used my Cricut for the Title Beach and the sunshine (paired with a glitter gel pen). These cuts came from my Life is a Beach cartridge. I also used Tim Holt's courtyard die. I used the inside stars along both sides of the layout. I pop dotted some of them. 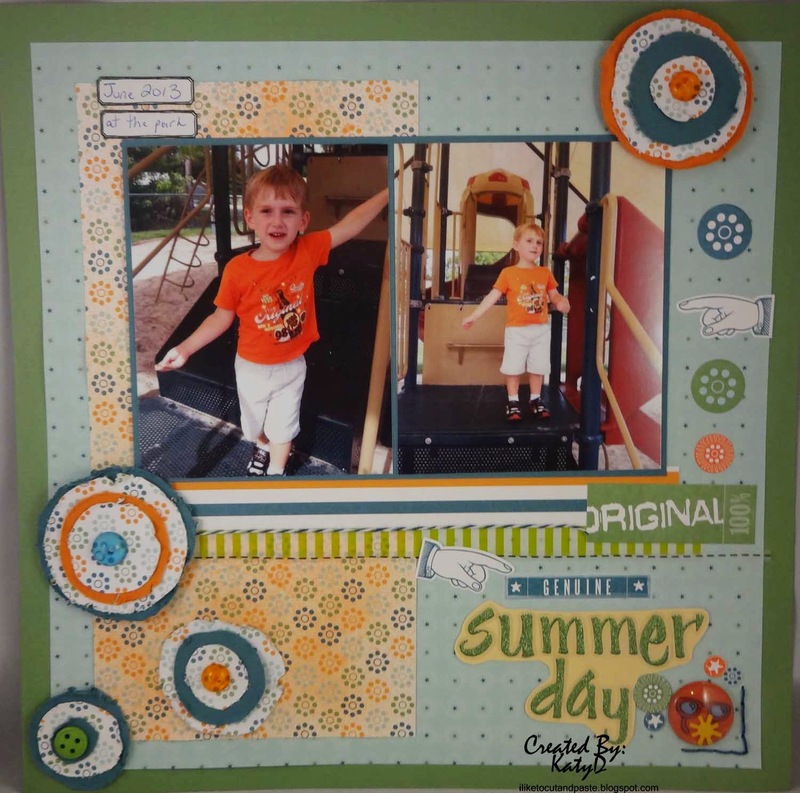 For some of the paper behind the photos I used border punches and decorative scissors to change up the flat cuts. At the bottom of the pictures is a paper ribbon from K&Company from their Wild Saffron collection. 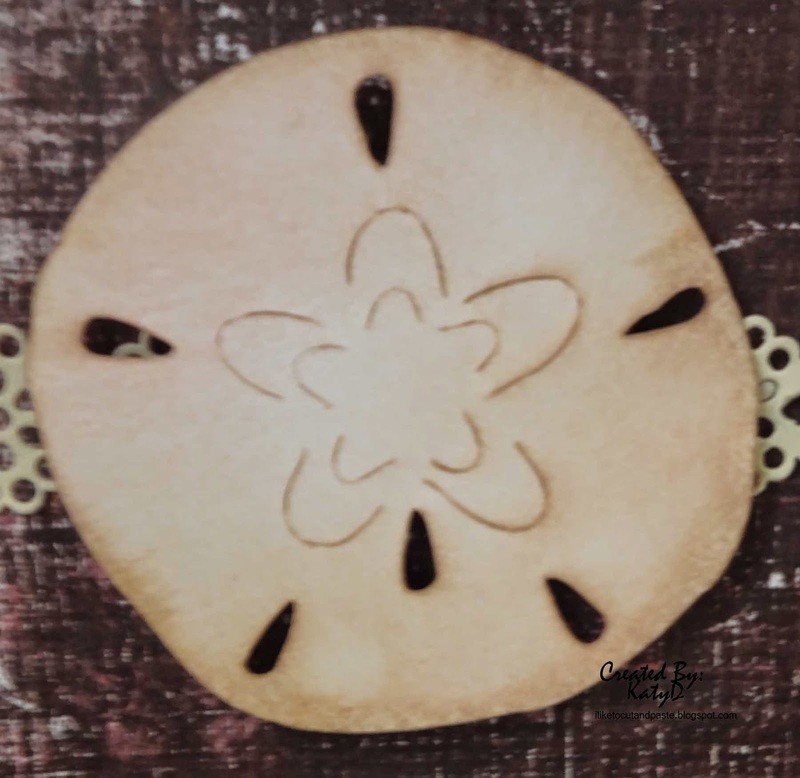 The sand dollar is also Cricut but it was free this week in the Craft Room (Yee Haw!). I used a little walnut stain and spun sugar distress ink to give it some life. Here is the journaling. 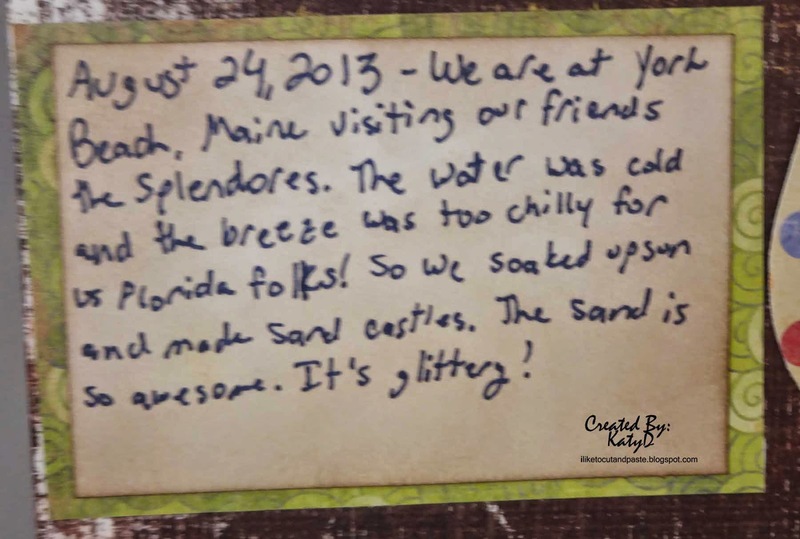 The sand really was glittery! Oh wow Katy these are beautiful designs all with such great attention to detail. I especially love the double page designs as I am a big fan using loads of photos in a design. Wow wow wow! You have been busy!!! These are gorgeous!!!!! These are just beautiful!! There are so many fun products to choose from and you do such a great job mixing and matching them together. I am not so good at doing that so I admire it when I see others with the talent for it. Amazing layouts!!! Loving the colors in the top one and the banner in the middle one. You have been busy!! !